I put my notebook away, and I went onto write the sermon a day or so later, preach it, and presumably move on. But still, that message about hope was calling me. In fact, months later, I’m still thinking about it. What that passage and my reflections on hope began to reveal to me is that faithfulness in this season of life, especially with Lucia, has often involved letting go of our expectations in order to love her as she is and celebrate her life. This has been such a good and Godly way of learning to love, and especially when we’ve often stood in the balance of not knowing when the next crisis will strike or when we may need to let go, it’s been a powerful and fruitful way to live. Holding Lucia on her first birthday. Photo by Andrew Nurkin. But I also realize now that as we’d let go of expectations and fully embraced the uncertainty of our lives together, we’d not been particularly welcome or wont to hope. Indeed, a few months ago, another parent said something casual to me like, “I’m just so looking forward to when she can do X…” Yet another chirped, “Don’t you just look forward to each stage?” The statements were remarkable because I realized, not mournfully or proudly, but simply and practically, that I certainly didn’t have the same hopes for Lucia. But that doesn’t mean I can’t have hopes. Something has shifted over the past few months for me. Perhaps it’s because Lucia’s joy–her smiles, her giggles, are so contagious that we can’t help but want for more. Perhaps it is because we’ve begun to realize that there’s a certain faithfulness (where perhaps we once thought it mere naiveté or denial) to believing and looking forward and wanting more for your child even when the future (gosh, everyone’s future!) is always uncertain. “Who hopes for what is seen?” Paul asks, and it dawns on me that all hope is outrageous and audacious and almost senseless. It dawns on me that true hope, hope despite fear, loss, and pain, is the most outrageous of them all, but deeply, wildly, and decidedly faithful. What’s striking to me in this season is that even as Lucia’s daily health challenges continue, I think God is inviting us to dream a bit, to hope a lot, to envision a great and glorious and good life, even if it’s completely uncertain, for our daughter with special needs. This is a huge shift for me…and it’s a little scary. And it’s not the sermon I preached that Sunday. In fact, to this day, I don’t know how God did that–helped me write a sermon for others even as God prepared a sermon just for me. And I am wary, as I always am, too pensive and critical, because hope for many often takes the shape of bi-ped hubris, therapeutic progress, or medical cures for Lucia, and I feel distinctly called to inhabit this tension of living and loving her now, and yet loving and hoping for her tomorrow, too. So I find hope in the home we are making for Lucia, in the thought of her making friends at school someday, touching so many lives as she does ours everyday, teaching others, reaching out for babies and friends and strangers, and having many more swims and smiles and heroic turns of her head toward the things and the people that she wants and cares for! These are my small, perhaps tentative, but genuine, prayerful, and faithful hopes for my daughter. Our little light looking for the light on a recent walk around the neighborhood. My photo. We will always savor the present, but we find new hope in the future with God’s help. In 2007, I began a seminary field education placement that would lead to a part-time ministry during my Ph.D. coursework with a pair of multicultural congregations in North Jersey. 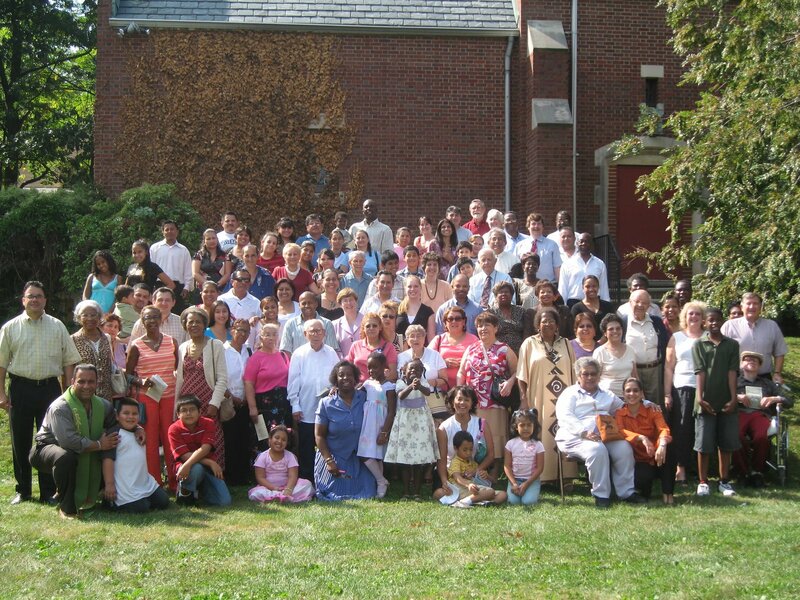 One is a biracial congregation whose integrated demographics had survived the Newark Race Riots and welcomed a few African and Caribbean immigrants in recent years. The local community, however, had been in transition, and the church’s numbers dwindled as more and more Spanish-speaking immigrants poured into the area. The other congregation meets in the sprawling building’s chapel and boasts members from nearly twenty Latin American countries. 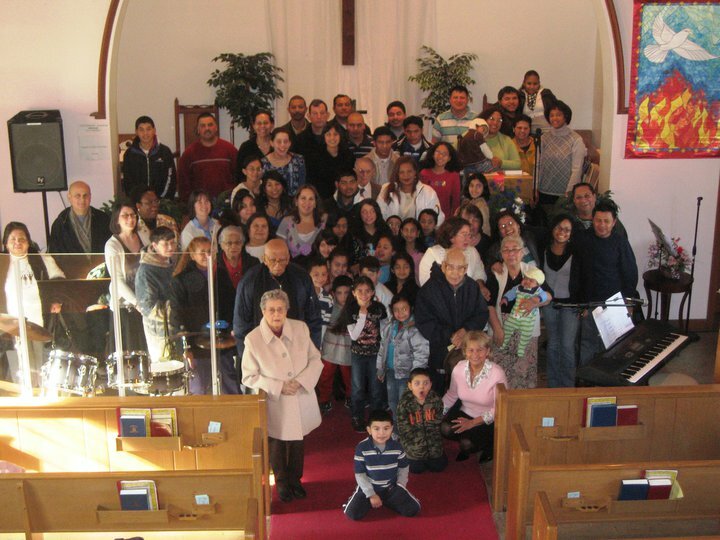 Forty-eight years ago they were established as a mission of the presbytery and they worship in their native Spanish, enduring the challenges of leaving families behind in unstable, impoverished, and war-torn countries, and navigating new immigration processes, jobs, schools, and life in a new country. Iglesia Presbiteriana Nuevas Fronteras, 2011. This past Sunday, members from both congregations gathered in the stately, hundred year-old sanctuary to celebrate something new: the Spanish-speaking congregation became a chartered and organized church of the Presbyterian Church (USA). We worshipped for three hours in Spanish and English, led by the youthful chorus of the praise band and the words of former interns, church members, local pastors, and even the moderator of the PCUSA. For Evan and I, despite our Caucasian backgrounds and our recent two years in China, it felt distinctly, like coming home. This was the place where my own call to ministry had been nurtured by these generous people who allowed me to pray for their struggles that I could often hardly fathom, who welcomed me into their homes, and who dismissed the jumbled Spanish of a gringa woman in their midst. I hadn’t realized until I looked around that multi-colored room this past Sunday what a powerful a witness these two little congregations in North Jersey had made. I’d been the fourth in a long line of seminary interns, but the first who wasn’t from a Latino, Carribbean, or African American background, and yet, they’d hardly made me aware of that difference. They’d welcomed me when they had every reason to look at the color of my skin and hear my accent and find ample reason to keep their fellowship insulated from the America which often doesn’t show them anything like hospitality, equality, or dignity. They’d taught me when they had every reason to be suspicious of my willingness to learn or my ability to leave the privilege that had gotten me to halls of higher education and power at the door of that little chapel. They’d ministered to me when they had precious little, the English-speaking church few members and resources, the Spanish-speaking church little funds or time to spare given their busy lives caring for children and working several jobs. Some of the former interns of Nuevas Fronteras and UPC. But as we celebrated on Sunday, as ministers struggled to characterize the length of their struggle as forty-eight years in the wilderness, as waiting on the timing of God, the members of the congregation who got up to speak subtly, yet confidently proclaimed the truth that despite the importance of what was happening that day, they had always been a church. They didn’t need (and hear I sound like a bit of a Presbyterian heretic but I’m willing to take that risk) the approval of their denomination, a piece of paper, or a service full of pomp and circumstance to allow them to minister, because they’d been doing it, for those in the community, those in the church, and people like me, for forty-eight years. Their ministry reminds me that when we take what little we have and we put it into God’s hands, far greater things than we could possibly imagine come to pass. The trouble is, we’re usually so hesitant to trust, so hell-bent on recognition for our service, and so afraid to believe. It’s counter-cultural to take everything that you have, especially when you don’t have much, and faithfully thrust it into Jesus’s hands, it’s counter-cultural to minister without much recognition to communities in need, and it’s counter-cultural to admit those to your fellowship who don’t look much like you and in fact, represent a lot of the power structures that give you hell on an everyday basis. 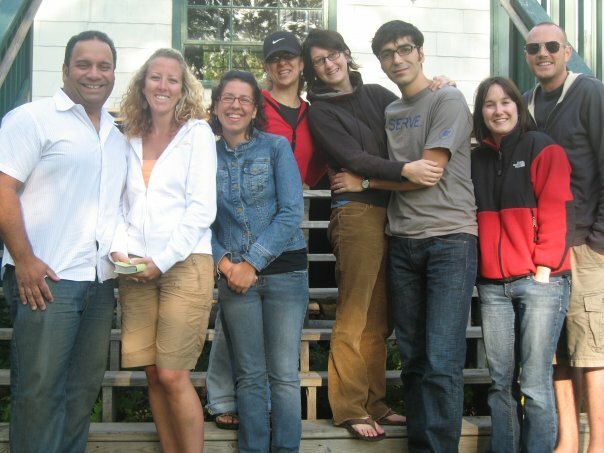 Over the years this Spanish-speaking mission, now chartered church, has trained sixteen interns and raised up twelve candidates for pastoral ministry in the PCUSA. Those are stats that congregations with three times their size and three times their history only dream of. But somehow along the way this little church has understood that miracles don’t happen by our own muscle, but by God’s grace, and that faithfulness is not for the in between times, but faithfulness is what life is all about. They have always been a church. They have always been ministering. Thank you, Iglesia Presbiteriana Nuevas Fronteras, and United Presbyterian Church, for always ministering to me. 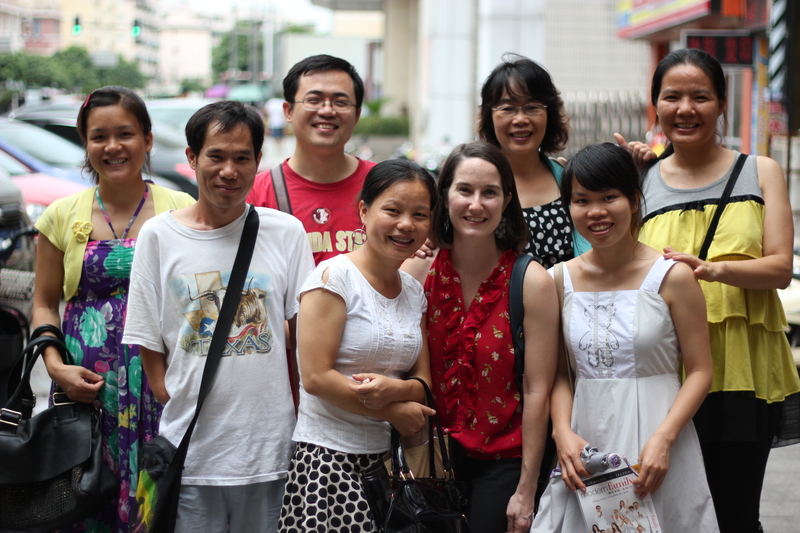 With foster children and parents in Guangxi, Nanning. Photo by Evan Schneider. It’s an interesting thing, this business of homecoming, because at a point when you feel quite vulnerable, listless, and perplexed about how to reknit yourself into the fabric of this place and these people, others seem to be prolific with giving advice. I had been hanging onto some of those pieces of advice as of late, not quite knowing what to do with them, but succumbing to their power nonetheless. I was told by several people after coming back from two years in China to simply take some time, not to dive into my notes, and to not move on or forward too quickly lest the disorienting power of culture shock creep up even more over me and paralyze me with a vengeance. And I think those well-meaning people were onto something there. 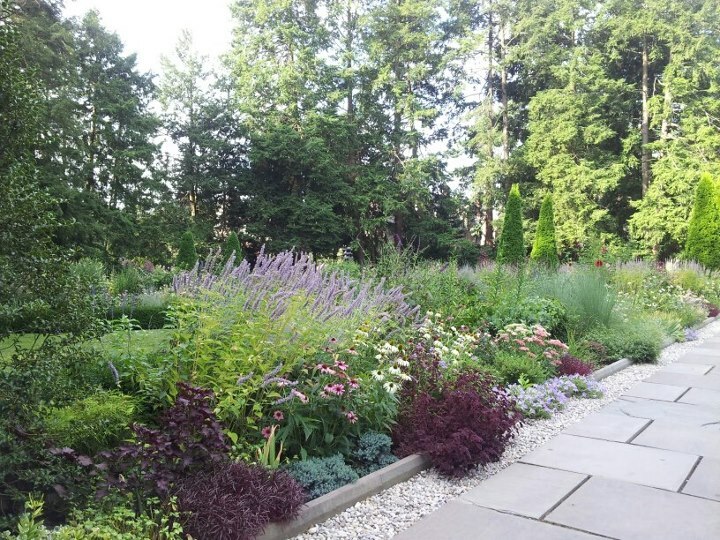 Gorgeous morning on the Princeton campus in the President’s garden. I have discovered along the way that it’s been important for me to be cognizant of the illusion of control not only in China but in this place, for me to seek God especially when I’ve failed him, and for me to convene and to trust that God is the same here as God was in China, or anywhere else for that matter. But somewhere along the way I also took the advice given to translate as the supreme surrender that this time of culture shock and readjustment would be a period of great unknown, and therefore I should have no expectations of life, God, others, or myself. There have been times in my life where expectations proved seriously unhelpful, and where tossing them into the ocean has taken great faith and conviction and produced great peace and comfort. Halong Bay, Vietnam. Photo by Evan Schneider. But I hear God telling me that this is not one of those times. Instead, I hear God reminding me that we are a forward people, that I’m cut from the cloth of other pilgrims, seekers, and dreamers, and that making a life in a new place comes easier if I believe, I trust, and I expect God to go ahead of me. In fact, I hear God saying that in this moment, that’s what faith looks like, a daring openness to those and this life around me. 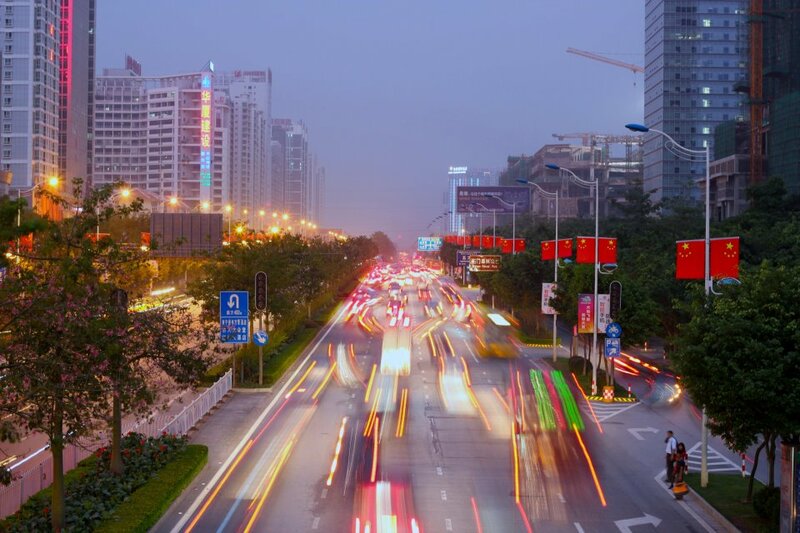 I hear God reminding me that even though many of my expectations of China were bowled over by the sheer unpredictability of life there, God’s faithfulness certainly wasn’t. With friends in China. Photo by Evan Schneider. And I’m reminded how sweet it is to be a person of faith and to find that even when many around you will tell you that there’s no rhyme or reason to this season, that you can’t count on anything at all, we can. We can trust God to be there. We can trust God to move. And we can expect everything, because of what God has done for us. So if you’re like me, you have a pretty public blog, where you post about your mountaintop moments in life and in faith, and where you (rather subconsciously) try to minimize the doubting that goes on in the shadows, because that’s not really so compelling, nor is it the stuff that good, religious folks are all about. 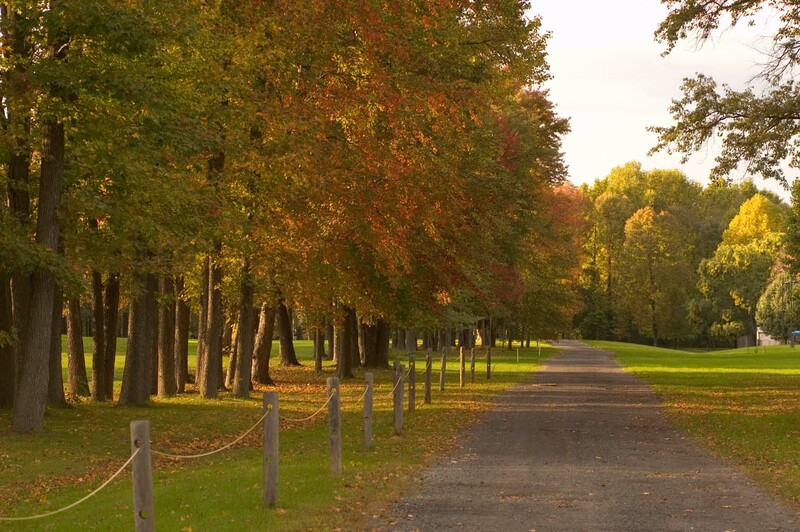 Princeton in the fall. Looking forward to this! …except God. And thank God for that! Valleys and mountains all wrapped into one in Guangxi, Zhongliu village. Photo by Evan Schneider. You see in the midst of the missing-China-blues, the listlessness that I can’t quite explain or shake, the doubts that did make the blog, and the ones that didn’t, God’s been working silently, heroically, and with a sense of humor, like only God does and can, to squash those doubts to pieces. Because it just can’t be a coincidence that in only two weeks of moving into our housing complex in the US that I’ve met an amazing couple with a baby with special needs, another neighbor couple just moving from Hong Kong, and yet another neighbor couple who is…Chinese! Do you ever feel just totally ridiculous for making your fears larger than life, larger than God, for feeling paralyzed, for doubting for a hot second that God isn’t all in this and through this life with God’s hands down in our muck in a powerful, powerful way? And isn’t it just the best feeling, to be so, so wrong about a God that is so deeply faithful? 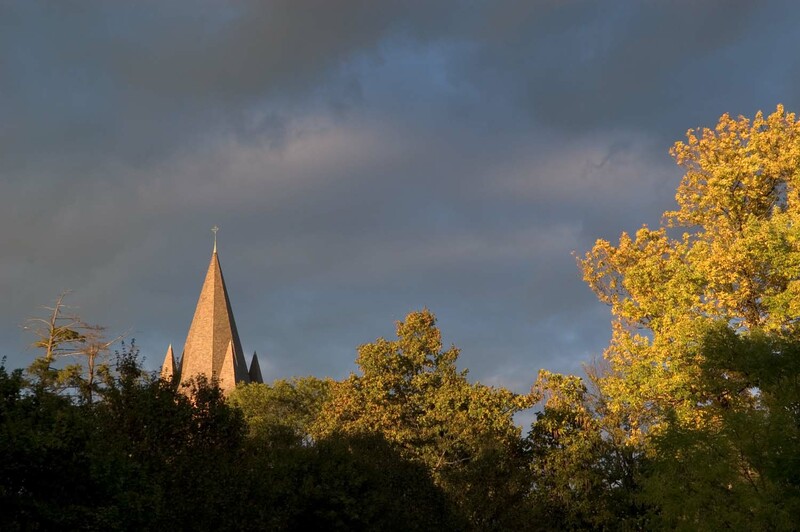 A view of the Princeton campus nestled between trees. Okay, this is another mountaintop post, and I sort of apologize for that. But if you hear anything today from me, hear that I’m a mess and God is faithful, and that’s the stuff of shadows shot through with light and meaning in the madness. And praise God, with me, for God is faithful! 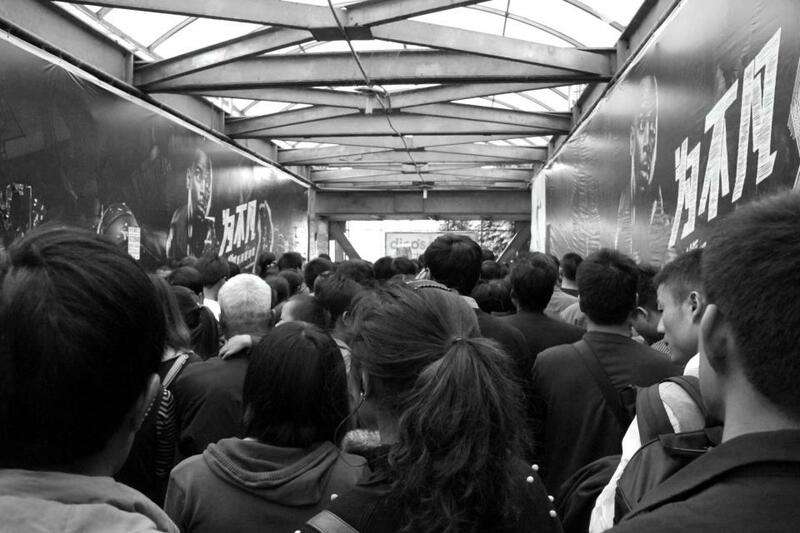 Another image of city life in China. It’s been two years of life for my husband and I here in China. We’ve traveled to the mountains of Yunnan to visit minority churches, explored the ultra modern city of Hong Kong, explored, the Philippines, Vietnam, Laos, Egypt, and the UAE and hosted our families and friends. He’s completed two years of teaching college-level English and I’ve finished two years of fieldwork with foster families. 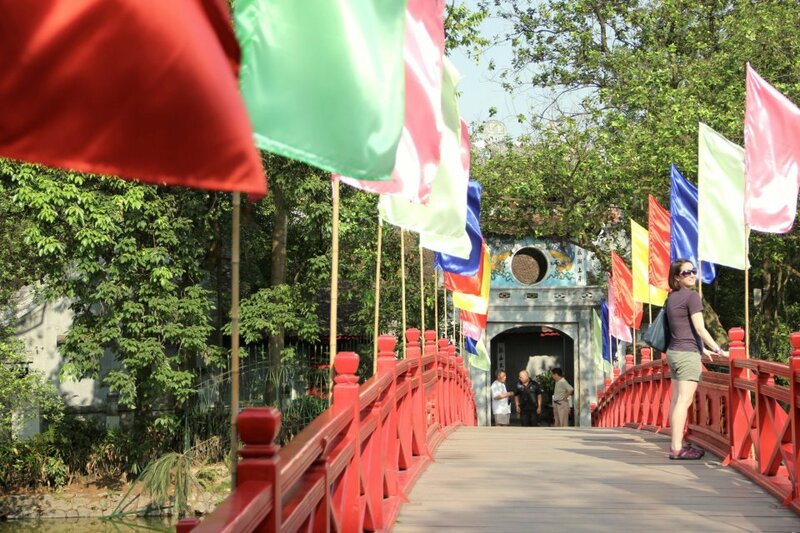 On Hoan Kiem Lake, Hanoi, Vietnam. 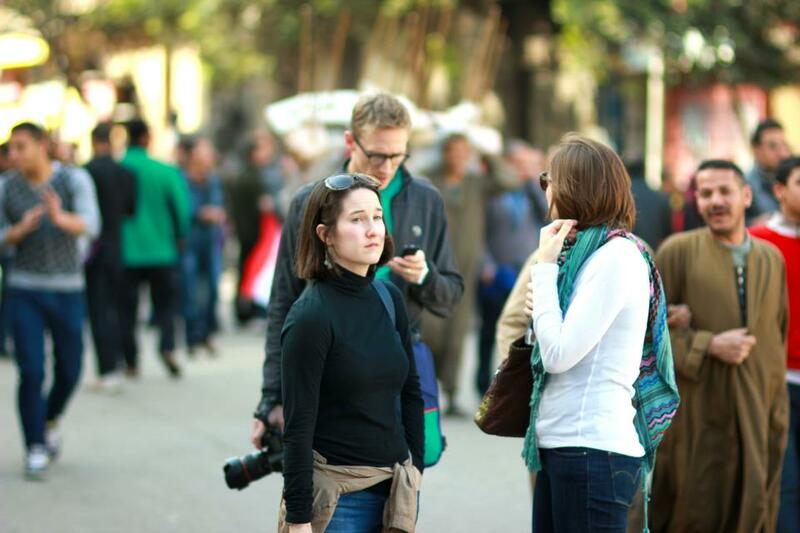 In Tahrir Square, Cairo, on the one-year anniversary of their revolution with our friends Ben and Emily. 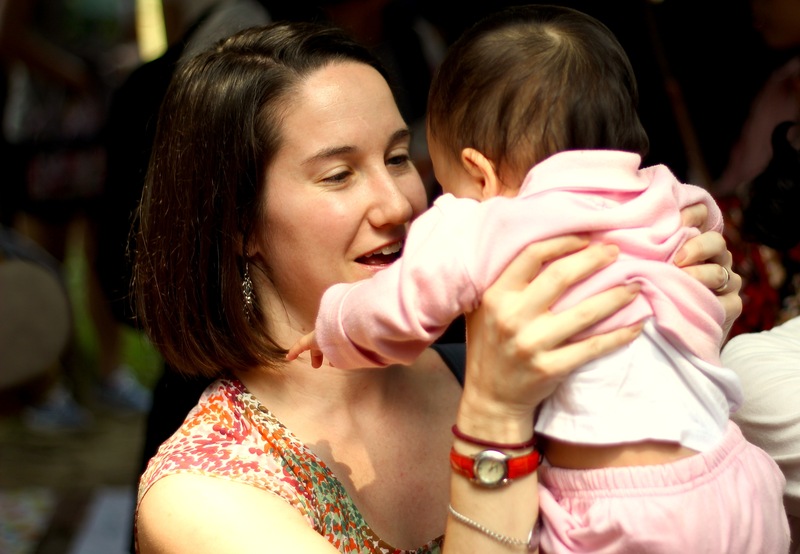 With a foster baby in Guangxi. Photos by Evan Schneider. More than anything, as I look back through the past years, I’m astounded not only by the breadth of these experiences that I will carry with me, but also God’s provision and faithfulness. If you have time I invite you to check out the following posts which weave their way, highlighting some snapshots of our two years here, describing some of the highs and lows of research, faith, cross-cultural immersion, and our life. I realize I’ve never told the story of how we got to China. There’s more to it than can fit in one post, of course, but last night a good part of the journey kind of came full circle. You see, back in 2009 when I was searching for a city in China to meet foster mothers and study foster families and was shooting off emails to anyone I knew who had any connection to China (and fretting about taking a trip to an unknown place where I knew no one! ), a friend of mine came through with a list of close to forty names of friends who might be helpful. And I sent practically everyone on that list an email, but as it sometimes goes, I got only a few back. 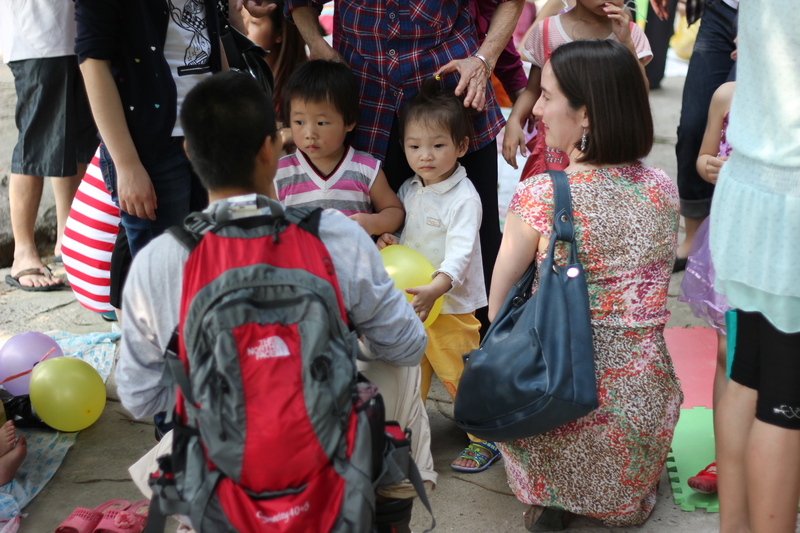 One was from a family that had lived in Nanning a few years ago, and the woman said she knew foster families. We started corresponding by email, and I’ll never forget how she called me up out of the blue in March of 2009 and said, why don’t I just go with you, why don’t I take you to meet my friends? 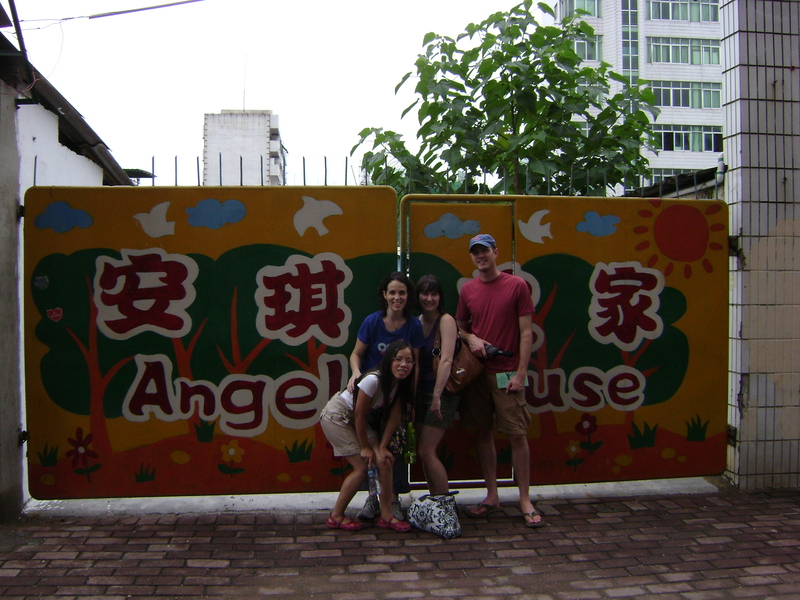 Visiting Angel House in Nanning in 2009 with friends. We met up with she and her husband in Nanning for the first time in June of 2009, and true to form, she introduced me to everyone she knew, people who would become my research contacts, my tutors, my trusted friends. 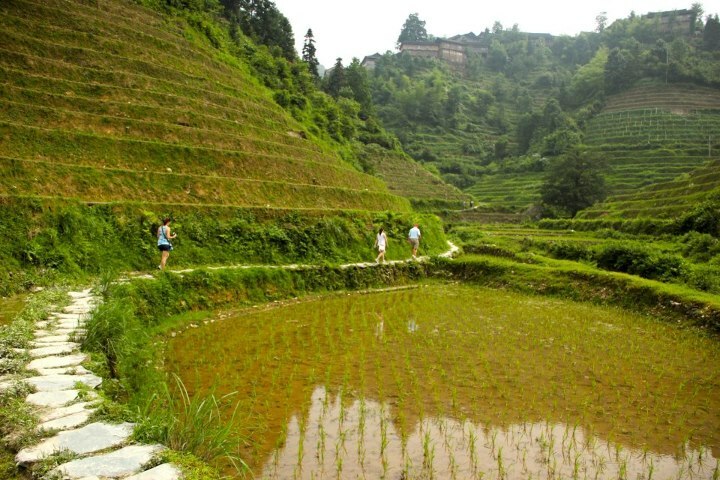 And many thanks to she and her husband’s introductions, when it came time to choose a place to do my research, a place for my husband and I to make our home for the next two years, there was no question in our mind that Nanning would be the right fit. 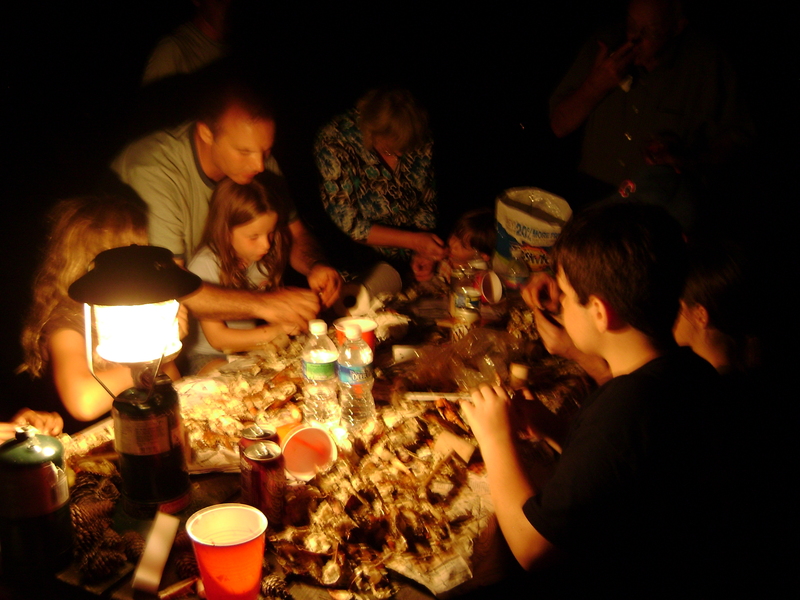 Camping with our friends in 2009. We camped with our new friends and their four kids in August of 2009 in the states and moved here the following one. And last night, our friends who played hosts to us in Nanning that first summer had the chance to return to Asia for a brief trip, and share a meal at our apartment in China. We filled them in on the adventures of our lives over the past two years here: our experiences traveling in Yunnan and meeting with minority Christians, the ways in which my research with foster families has unfolded and grown, and the countless learning experiences in faith and culture we’ve shared in this place. 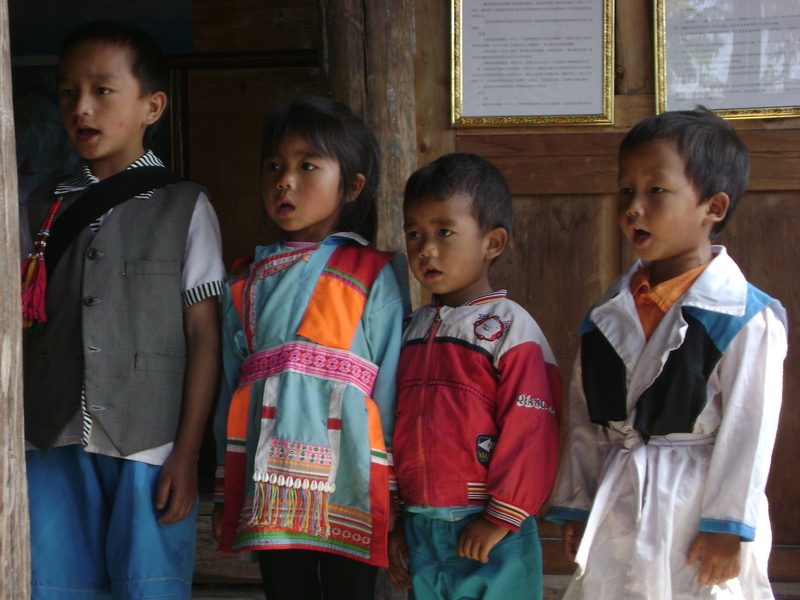 Minority children in the mountains of Yunnan. We teared up as I recalled the way this woman, who has become a lifelong friend, embraced my project as her own three summers ago, marching around the city and in her limited Chinese asking everyone and anyone whether they knew foster mothers. She inspired me so much, teaching me what it truly means to be bold and serve others and trust God. Our friends prayed for us as we prepare to leave China, and we had a chance to thank them for their commitment and goodness to us. I told them how my friend who’d emailed me all those names awhile back recently reflected that she’d almost failed to include their family’s information, fearing they’d be too busy or wouldn’t have any connections to China. And when I think on God’s intricate plans, I know there are none more excellent. It was so meaningful to hear their blessings prayed over us last night, people who in so many ways are responsible for the success of this journey. And while it will be bittersweet to leave this place, the foresight of God to bring these people into our lives across the distance and over the years reminds me that God has been and will be faithful in this and every step of the journey. A couple weeks ago during the board trip for the charity I’ve been partnering with here in China, a board member challenged the China staff and the participants to be bold in the Lord. And we began to talk about what that looks like. Another Chinese friend of mine has been reading the Old Testament and contemplating the connection between prayers and signs from God (See Genesis 24). We’ve talked a great deal about how we pray and how we might be bold in asking God for what we truly desire while not falling into unhealthy patterns of testing or bargaining with God. And over the past few weeks I’ve been emboldened to pray differently, passionately, and urgently for the future I desire, for new post-China opportunities to serve God and to grow together in faith with friends and family. And while I’ve not yet seen my Rebekah arrive at the well like Abraham’s servant, I can say emphatically that these prayers have brought me a new kind of peace in the face of uncertainty, they’ve opened my eyes to God’s work in my midst, and they’ve made me more aware of God’s presence in my relationships with others. If those aren’t signs, I don’t know what are! 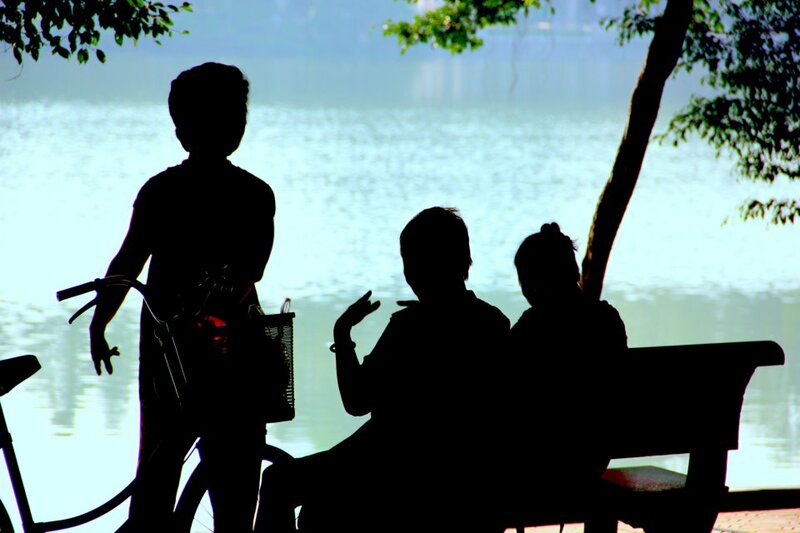 Early morning on Hoan Kiem Lake, Hanoi, Vietnam. And just as I’ve heard God calling me to be bold in prayer, I’ve also heard God convicting me to share God’s faithfulness and my own efforts to be faithful with others. What I’m feeling isn’t a naive conviction that things will go perfectly according to plan but that God will provide (as God has before), which actually changes my perspective in that I see the signs of that faithfulness earlier and more clearly than I might otherwise. When I wrote about the peace I experienced in the midst of my Grandpa’s trials, I almost felt guilty, but I realize that this peace is not incidental or manmade, but powerful and why our God is worthy of praise. I remember awhile back hearing a fellow person of faith say being a believer in God doesn’t insulate us from life’s struggles or pain, or even fear, but because we know we’re not alone or on our own in the midst of them, it makes it all decidedly less daunting. 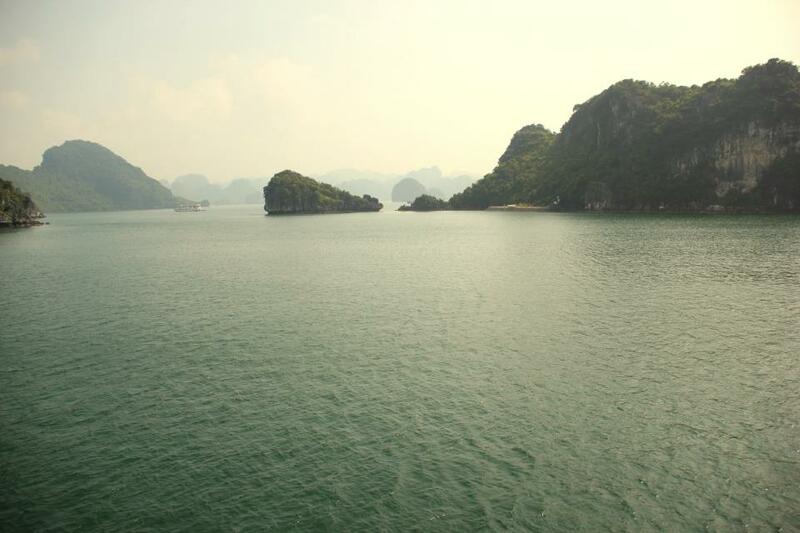 Scenes from Halong Bay, Vietnam. All photos by Evan Schneider. Likewise, because so many other friends chose to lift my Grandpa up in prayer and to honor his life, although I felt great sorrow in his passing, I also felt great joy that I had the opportunity to know him and to share his life with others. Regarding our post-China future, I’ve noticed that instead of focusing on the uncertainty of our lives right now, I have this palpable assurance that God is about to do something great…and why not? So be bold. And while it may sound trite, be bold enough today to trust and believe and live the promise that God is good…all the time.